Resolved to forget Elizabeth Bennet during a winter in London, Fitzwilliam Darcy writes a letter in bitterness of spirit. Frustrated by her growing obsession with the arrogant man, Elizabeth commits her thoughts to paper. But angry people are not always wise, and secret thoughts do not always remain secret. Compelled to face their selfishness and fears, their actions encourage those dearest to them to change as well. 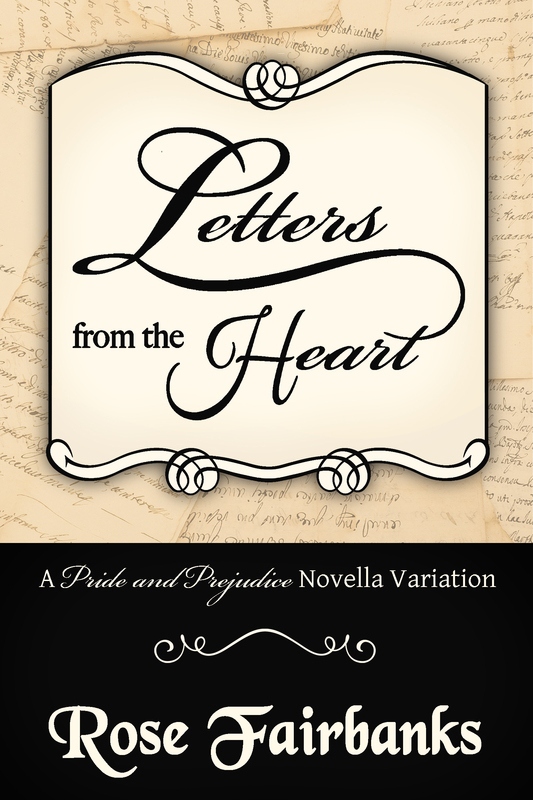 This story is now published as Letters from the Heart on Amazon. You can read a free sample by following the link. I am reading that book now and I absolutely love it. I am only twenty or so pages into it, and I find it totally irresistible. I can see that I will be staying up late tonight and reading. You have a wonderful way with the characters, and a wonderful way with words. I like it that you take the original characters and essentially make them the same but better. This was such a clever idea, having both E&D send letters that were not intended to be sent at all! I actually found that totally believable and wonderfully human. From now on, I will be reading everything you write, and smiling more than usual. It is such a joy to have discovered you and your very original and unique takes on P&P. Thank you for some wonderful stories.